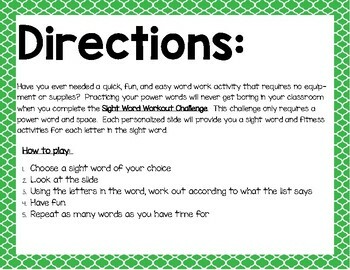 Have you ever needed a quick, fun, and easy word work activity that requires no equipment or supplies? 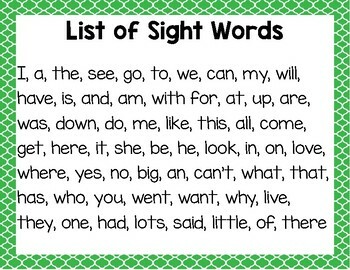 Practicing your power words will never get boring in your classroom when you complete the Sight Word Workout Challenge. 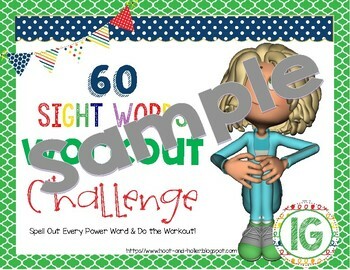 This challenge only requires a power word and space. 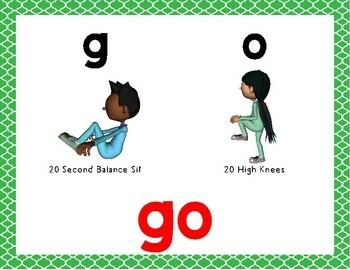 Each personalized slide will provide you a sight word and fitness activities for each letter in the sight word.